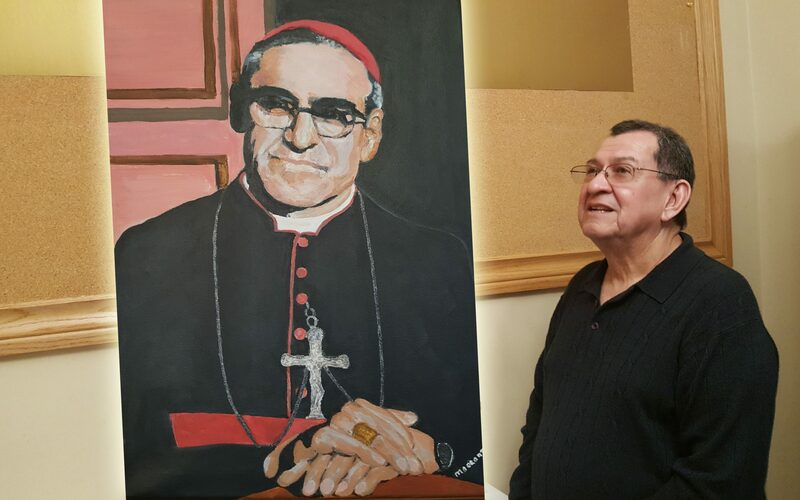 Manuel Orantes feels so strongly about Oscar Romero’s holiness that he spent months immortalizing the slain archbishop’s image in an elaborate acrylic painting for a celebration at his church. That five-year-old artwork has become even more important to Our Lady of Guadalupe parishioners now that Archbishop Romero has been named a saint of the Catholic Church. “The inspiration came from my heart,” said Orantes, who painted the portrait of Romero for a celebration at Our Lady of Guadalupe Parish, which serves the Spanish-speaking community in Edmonton. “There are things you don’t imagine will happen when you do something. A champion of the poor in war-torn El Salvador, Archbishop Romero used his homilies to condemn political repression and the killing of thousands of peasant farmers. 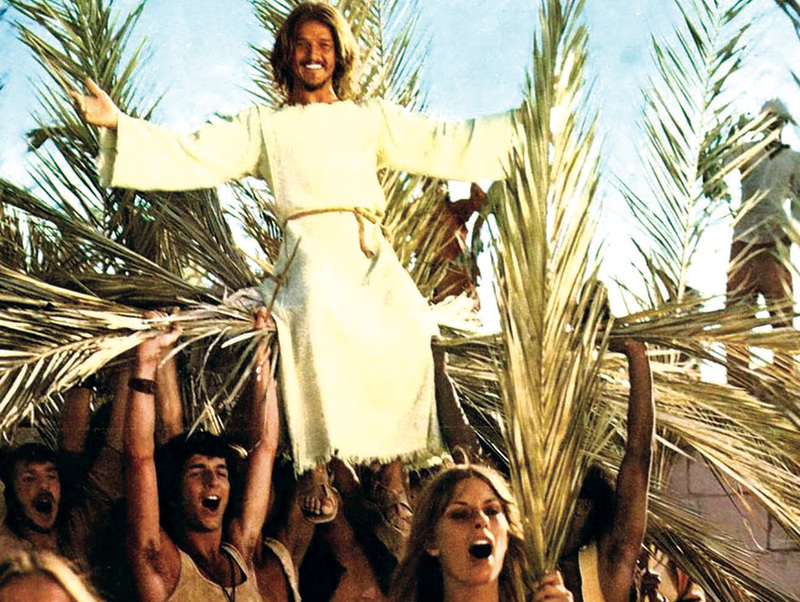 For that he paid with his life. Romero was shot and killed as he celebrated Mass on March 24, 1980. 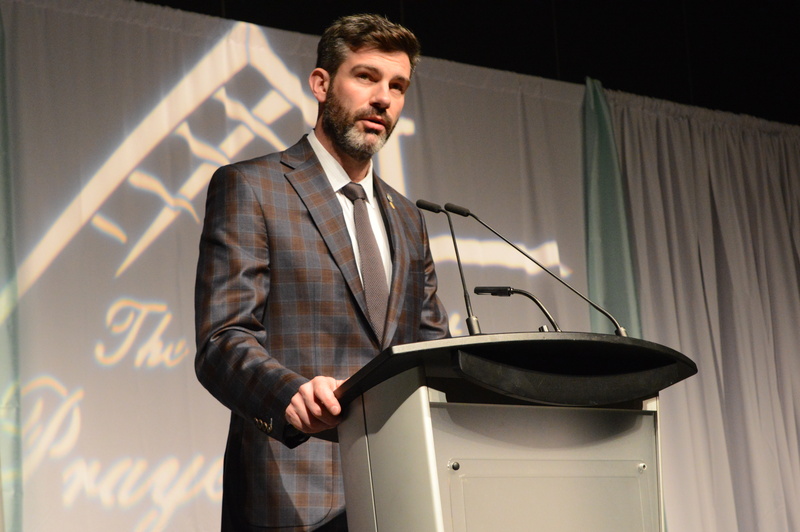 The Orantes family fled the civil war in their home country and settled in Edmonton in 1991. Like many Salvadorans, Manuel and Olivia say they were inspired by Archbishop Romero. 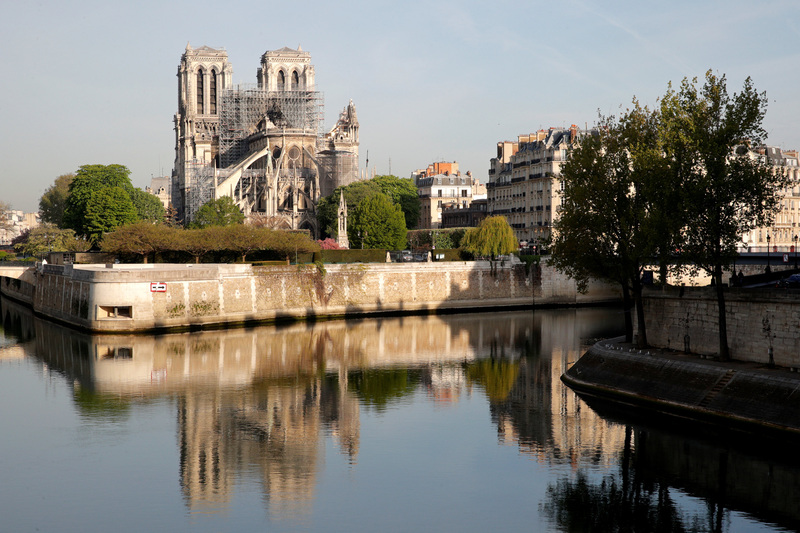 For fellow parishioner Jose Alberto Gonzalez, the connection is especially deep, because he knew Romero personally. 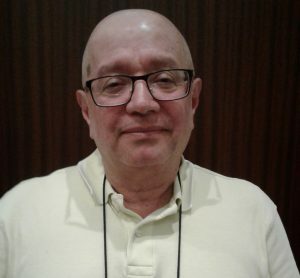 Gonzalez helped organize a group of 29 delegates from Edmonton, including staff from Blessed Romero high school, to attend the canonization of St. Oscar Romero at the Vatican on Oct. 14. Cheering “Romero! Romero!” they were among more than 70,000 people who attended the Mass in St. Peter’s Square. Pope Paul VI and five others were also named saints of the Church. In the crowd were many of the farmers Romero had championed when he was alive, Gonzalez said. 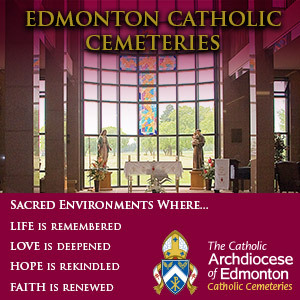 It’s Romero’s advocacy for the poor – and his own humility – that the Salvadoran community in Edmonton remembers and honours. Supporters of the social justice icon believe his canonization was delayed because of his activism. “This ceremony was the result of a long battle with members of the very conservative sector of our Catholic Church to get Oscar Romero canonized,” said Jose Gonzalez. 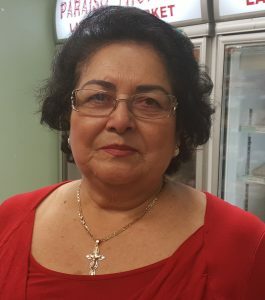 Salvadorans around the world are happy the wait is over, added Alba Luz Gonzalez, a food shop owner whose first husband was killed by the Salvadoran military just one month after Romero was assassinated. Blessed Oscar Romero High School in west Edmonton will be rededicated next spring to reflect his sainthood. In the meantime, the words “Saint Oscar Romero, pray for us,” have been added to the morning prayers on the public address system. 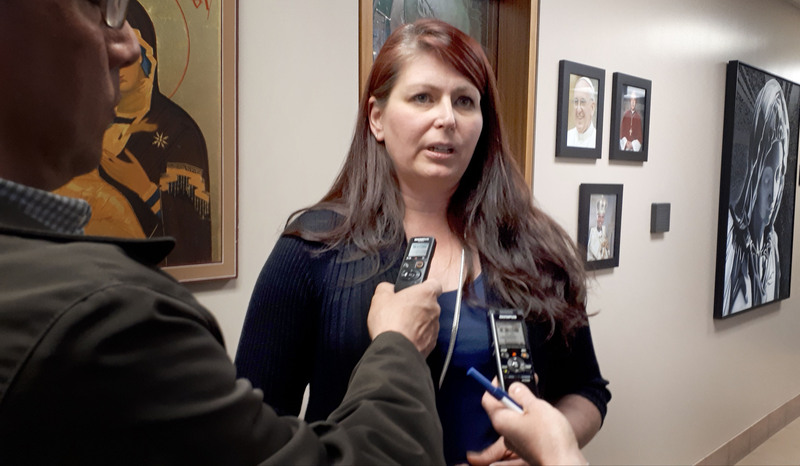 “There’s energy around knowing that our namesake is now a saint and that in each day of our prayers we are asking for the intercession of St. Oscar Romero,” said Angie Venne, the school’s chaplain. Those same words have been added in Spanish above Manuel Orantes’ artwork at Our Lady of Guadalupe Church: San Oscar Arnulfo Romero, Ruega por Nosotros.